Perched on top of a hill high above Center Harbor and Meredith, yet within 10 minutes to town amenities, this spacious estate property has 4 bedrooms and 7 baths. With over 6000 square feet of finished living space, the quality of this custom home is exceptional. Skywatch is perfect for the person or family who wants a home that characterizes the best of New England living. With over 12 acres and outbuildings suitable for multiple uses, this property would suit those seeking a gentleman's' farm or a retreat you would seldom want to leave. If you want to work from home, the library, office and lake and mountain views create a serene setting. If entertaining is going to be a frequent activity, the beautiful theater, porches, dining and living rooms with gorgeous fireplaces, allow entertaining in a luxurious setting. The tennis court and proximity to the White Mountains, Lake Winnipesaukee, and Squam Lake, will appeal to those seeking outdoor recreation. This hilltop home enjoys sweeping views of the Lakes Regions mountains, lakes and beyond. Highly energy efficient, the quality found throughout the home is a testament to the time, thought and money that was invested in its creation. Features include: 4 bedrooms, 3 baths, 4 half baths, gourmet kitchen, theater, gym and attached 4 car garage with radiant heat. The detached heated workshop provides substantial additional areas for storage of boats, cars, recreational vehicles or equipment and a vintage barn which provides excellent garden/grounds storage. Beautiful landscapes, gardens and woodlands surround its private tennis court. Priced well below replacement this magnificent property provides unparalleled privacy on 12.48 acres while being about 5 minutes from shops and restaurants in Meredith. View more about this listing. Listed by Jim Mardis and Nicole Watkins. 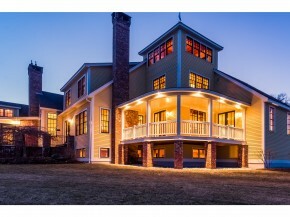 Call to request a color brochure or to set up an appointment to tour this Center Harbor property. Center Harbor NH has just over 1000 year-round residents, according to the State of NH statistics in 2009. Center Harbor NH has about 3 miles of shoreline on Big Squam Lake and 1 mile on Lake Winnipesaukee. 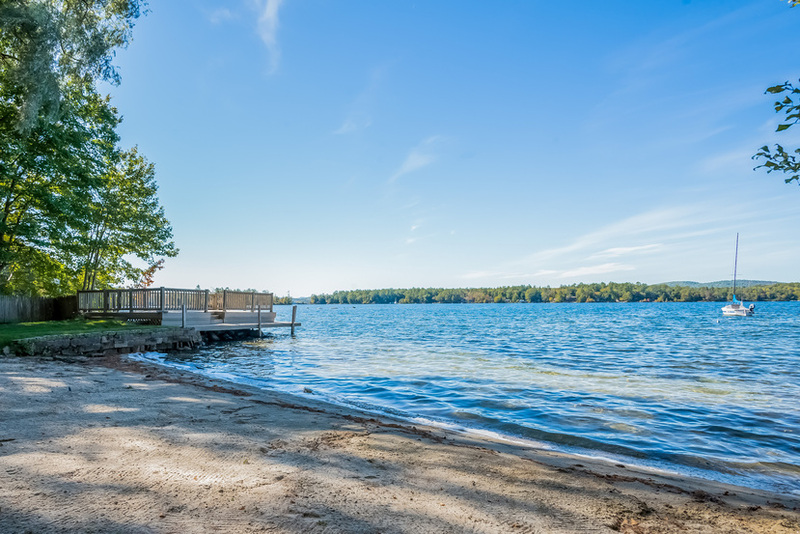 With town beaches on both Squam Lake and Lake Winnipesaukee, Center Harbor offers its residents easy access to two of the most beautiful lakes in New England. Popular destinations in Center Harbor includes the Waukewan Golf Course, the Town of Center Harbor tennis courts and baseball field, and many winding walking paths through the conserved land, including the 157-acre Chamberlain-Reynolds Memorial Forest, Belknap Woods, and the 604 acres DaneForest. Center Harbor also has the Squam Lake's Great Island, Duck Island and Kimball Island. Moon Island, located in Holderness, is in conservation and owned by the Squam Lakes Association, and can be easily accessed from Dog Cove in Center Harbor. Aside from the closing of Belknap College and the Center Harbor two room school house, the development of Senter's Market, the building of a bandstand for Friday summer concerts, and most recently, the residential development of some of the downtown Lake Winnipesaukee shoreline, Center Harbor has seen little change. Center Harbor was the location of the Squam Lake cottage in the film "On Golden Pond". The site of "On Golden Pond's" Squam Lake peninsula , Skywatch, and the sweeping views of Squam Lake from Center Harbor Neck are some the sites that make Center Harbor one of the most scenic towns in all New England. Contact Nicole Watkins for more information or any questions you may have. Remember to register with us to save your favorite listings, custom searches, and for email updates when similar properties are posted. Sutton House and The Nutmeg Inn are two local Bed and Breakfasts recommended for your stay in Center Harbor. Search my website for Center Harbor real estate, or real estate in the neighboring towns of Meredith and Holderness NH. Sunsets, All Day Sun, A Cleared lot with Lush Lawn. Gentle Access to the Lake on this Lovely Sandy Beach. Sunset Open Houses May 7th and May 15th. 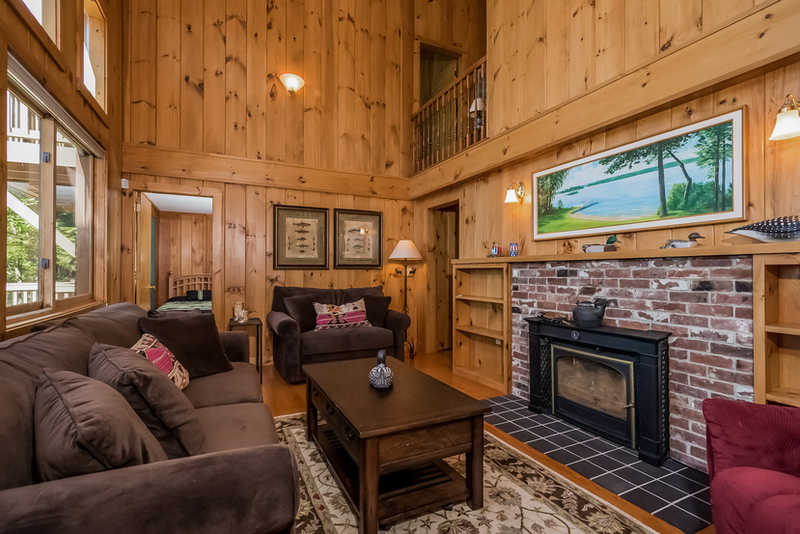 This West facing Winnipesaukee home is within 10 minutes to town amenities by car. 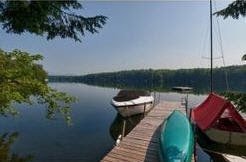 Central Lake WInnipesaukee location is ideal for boaters. Lovely views include a partial view of the Black Cat Island Bridge and mountains beyond the bridge. Kitchen and dining area open to the enclosed, screen porch and 28' x 16' deck. Upstairs, the master suite and family rooms have their own decks. The quiet of a small dead end street. Within an hour to several ski resorts. Near Moultonborough Neck Road snowmobile trails. Call Nicole for a detailed brochure or to set up an appointment. (603) 707-7575. 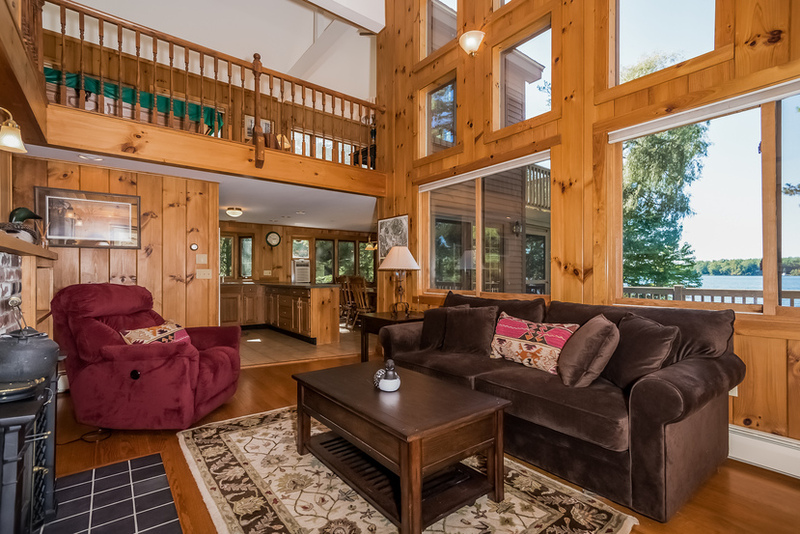 View the 7 Sunset Lane, Moultonborough NH listing details page. View My Current Winnipesaukee and Squam Lake Area Listings. 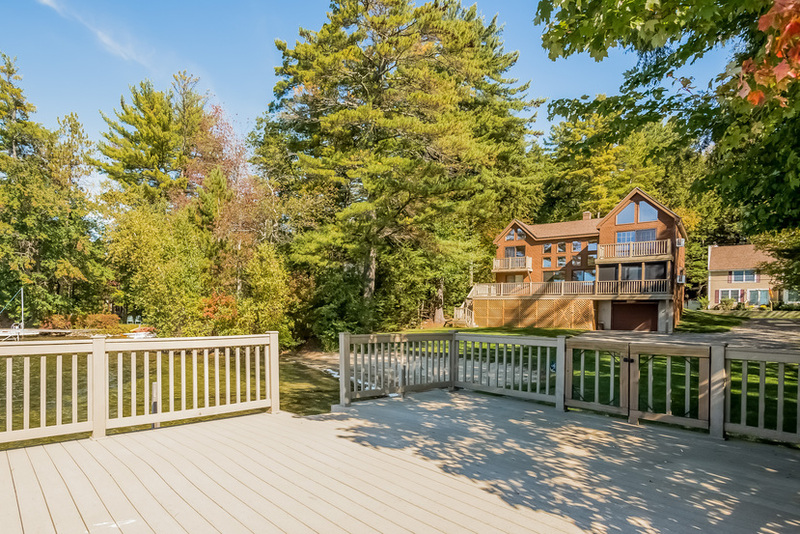 View some of my Sold NH Listings to get a small snapshot of Winnipesaukee home sales. View all Lakes Region real estate at www.nicolewatkins.com. Kevin G. Puopolo Chief Executive Officer CM&B, Inc.